If you have a good financial standing with your credit card company, and you are sure that you can repay this immediately, then a cash advance is in order. Otherwise, this may turn out to be the most expensive option there is. If you have some valuables like jewelry or some other rare expensive item you might want to consider selling them or pawning them. If you don't think that you will ever need the item, sell them and try to get the best offer, even if it might take longer for the transaction to occur. Otherwise, if you need immediate cash, you can pawn your valuables and redeem them when you are able to. 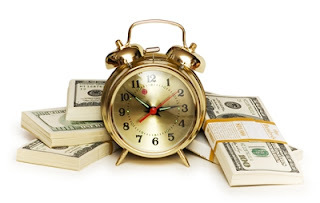 There are institutions which give same day cash loans or immediate loans. The terms and conditions might be different for each service or funds provider but the important part is that you get a loan processed quickly. You have to remember to pay back the loan immediately as well, as the interest rates can be costly when the loan takes too long to repay. When you search for reputable loan agencies, these services can also come under pay day loans. If you have a good standing with a bank, or you have an account with a bank, you can file for a loan with the deposit as collateral. This may take some time, however, but it only needs you to drop by the bank and give the manager a visit. Businesses usually make loans against their deposits on a regular basis. Life insurance builds up value over the years, and as part of the service, you can make a loan against the paid-up value of your life insurance. There may be no set date for payment, however, the unpaid amount will be deducted from the insurance payout when the time comes. The above are just some of the ways to raise ready cash. Of course, these are dependent on your financial standing and your credit rating. If you are good are repaying loans, the better your chances at getting loans. I suppose borrowing against life insurance is better than getting a payday loan. Even better is to just save more and have an emergency fund!